In an ideal world, our drinking water catchments would be pristine wilderness untouched by human activity. In reality, catchments include human activities such as farms, towns and industry, alongside natural areas such as rivers, wetlands and bushland. Greater Sydney's drinking water catchments cover 16,000 square kilometres of land, stretching from north of Lithgow to south of Braidwood, and from Woronora in the east to west of Crookwell. The catchments are home to over 120,000 people living across 15 local government areas, in regional centres such as Lithgow and Goulburn, and towns such as Bowral, Mittagong and Katoomba. About 30% of catchment land is national park and bushland. But over 60% of the catchments are privately owned, including 600,000 hectares of agricultural land that is essential to the NSW economy. In the 30% of the catchments that are natural bushland surrounding the dams, WaterNSW works with the National Parks and Wildlife Service to manage and protect these lands which are called Special Areas. In the more than 54% of the catchments that are privately owned land or towns and regional cities, WaterNSW works together with local councils, landholders, government agencies and industry to help ensure human activities do not harm the environment that our drinking water comes from. WaterNSW catchment management activities involve a combination of science and research, enforcing laws, providing grants and incentives, education and training, and land improvement work. Dairy waste disposal - support for dairy farmers to better collect and treat waste from dairy sheds and feed pads for re-use as fertilisers. Land improvements - grants and other support for catchment landholders and farmers to use practices that manage stock access, increase vegetation and reduce erosion near creeks. Training - on-farm training to catchment graziers on using sustainable practices, such as increasing pasture cover, to improve water quality. 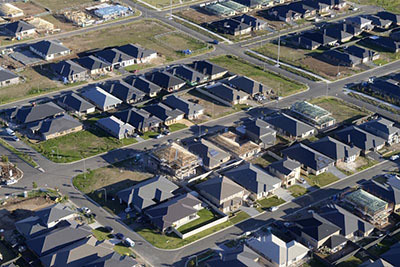 Rural and urban development - support and tools for councils and developers to ensure new housing and industry developments have a minimal impact on water quality. Pest and weed control - on WaterNSW land and in the Special Areas, in partnership with the National Parks and Wildlife Service. Mines - support to remove, remediate and control contaminants from derelict mines sites. catchments have a minimal impact on water quality. Weeds and pests - use organic herbicides and pesticides for control. Trees and shrubs - plant or retain native trees and shrubs to help prevent soil erosion. Riverbanks - protect plants on the banks of streams and rivers to provide a buffer against pollution. Sewage systems - do regular maintenance on on-site sewage systems to prevent overflow or leaks. Oil and grease - don't pour down the sink, instead put in a container and then in a bin. Chemicals - use carefully and dispose of any leftovers responsibly at household chemical collections days. Report spills - immediately report spills of dangerous liquids such as petrol, oil or chemicals. Pets - don't allow pets to wander in the bush, and clean up after your dog with a pooper-scooper or plastic bag. 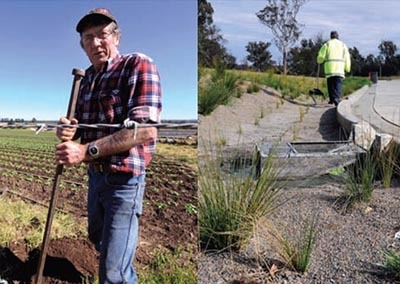 Get involved - join a local Landcare or Streamwatch group, or apply for a community grant. Camping - take your rubbish away with you, and make sure fires are completely extinguished. Bushwalking - keep to marked trails, take only photographs and leave only footprints. Warning signs - obey signs in parks, and leave parks in a better state than when you found them. Fires - help prevent bushfires by knowing the fire danger level, and obey fire warning signs. Rubbish - pick up rubbish, even if it's not yours.